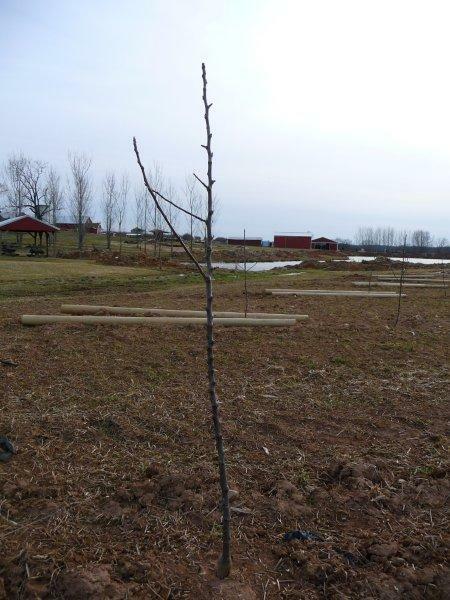 January 2010: This is a baby apple tree (Enterprise variety). It will be ready for harvest in three years. Right now it is about 4 feet tall.